Valley Improvement Projects ally, Global Alliance for Incinerator Alternatives (GAIA), has released a new video and fact-sheet that busts the myths of ‘Waste-to-Energy’ a.k.a Trash Incineration. Stanislaus County is home to 1 of only 3 trash incinerators in California, located in the town of Crows Landing near Patterson. 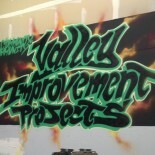 This entry was posted on October 23, 2017 by valleyimprovementprojects in Environmental Justice.